There is so much election buzz going on right now – for our Chitues around the world, our Sikyong, the US presidential race, and here in Canada, the federal elections. Hopefully the title above wasn’t too misleading – I have no juicy gossip about any Sikyong candidates – this post is about the Canadian federal elections. While watching one of the recent leader debates, I slowly realized that I had actually met all three leading candidates in some capacity or another. Since many of us Tibetans can’t help but consider what the federal parties, leaders, and our MPs have done for Tibet come election time (vote for Tibet! 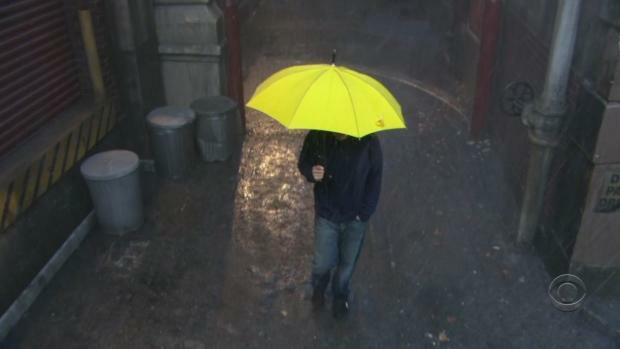 ), I thought I’d share with you my experiences of how I met your future (Canadian) Prime Minister. Even though these were short and seemingly meaningless encounters with the three leaders, I’ve come to realize (silly or not) that they have somewhat become representative of my views on their parties’ stances on Tibet. My first encounter was in 2005. Former Chinese Chairman Hu Jintao was in town (Ottawa) for an official visit and a special dinner event was being thrown for him at the Governor General’s Rideau Hall. Back then, there weren’t many Tibetans in Ottawa, so a small group of us (myself, another Bhoepa bhomo, and an Inji rokpa) went to protest with two Tibetan flags in hand. When we arrived there were hundreds of really well organized Falun Gong protestors in a wave of yellow t-shirts. The three of us stood there on the side and watched as a long motorcade of dozens of black town cars and SUVs drove through the gates of Rideau Hall. Suddenly one town car broke off from the motorcade, and instead of driving into Rideau Hall, drove and stopped right in front of the three of us. The three of us looked at each other wondering what was happening – we couldn’t see anything or anyone through the tinted windows. Soon after, the back door opened and out walked Conservative leader Stephen Harper, who was then only the opposition leader but would soon be elected Prime Minister in the following months. He buttoned up his blazer and instead of first acknowledging the hundreds of people in yellow, walked right up to the three of us and exclaimed, “Ahhh, the Tibetans!” with open arms, and shook our hands. He then went on to try and reassure us that even though he was going into the dinner for Hu Jintao along with all the other Canadian business and political leaders, that we needn’t worry – he wouldn’t forget about us Tibetans. Unfortunately I didn’t have a picture of our first meeting, but here’s a photo from our second meeting – this was at a Conservative Party staff party in the Prime Minister’s residence backyard in 2007. During this encounter, he told me he knew two other people named Tenzin (Yup! I even hear this story from the Prime Minister of Canada! There were three ‘Tenzins’ working at Parliament at that time). He also told me during this meeting that the Tibetan cause was a worthy one. 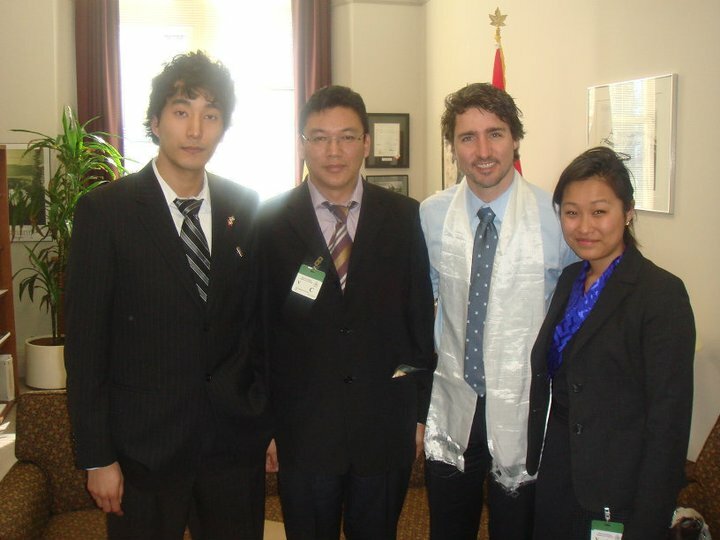 My next encounter was with Liberal leader Justin Trudeau in 2011. This meeting was more organized – it was during a Tibet lobby meeting. Anyone who has been a part of a Tibet lobby meeting knows how these meetings usually go so I won’t go into detail about what was discussed. However, I will say, Trudeau’s response was probably the most disappointing one I’ve ever heard in such a meeting. He told us that he couldn’t commit to do doing anything (even though some of our asks were so hilariously effortless) because he has a lot of people asking him to do things – that if he does work for one group, he’ll have to work for all groups. I appreciated him meeting with us, but my immediate takeaway: he would rather stand for nothing than stand for anything. 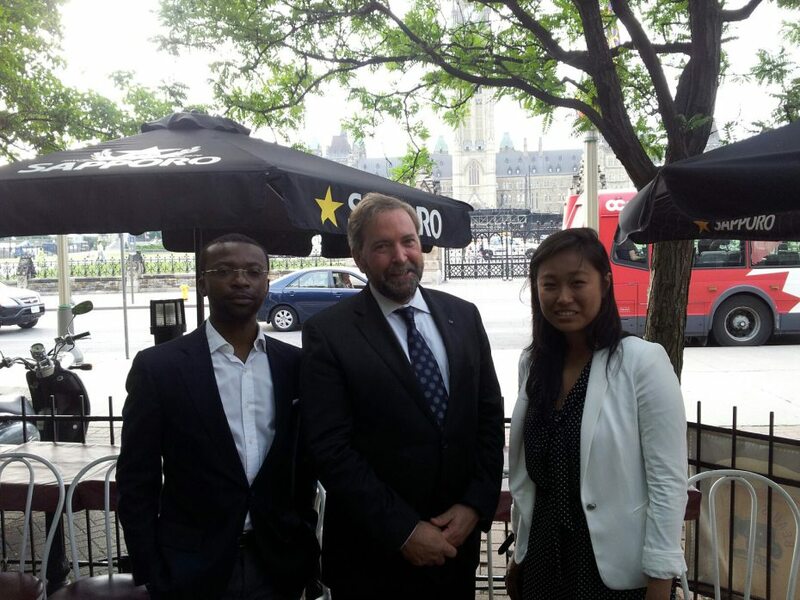 My third and final encounter was with the New Democratic Party (NDP) leader Tom Mulcair. I’ve actually already written a Lhakar Diaries post about this meeting, so to summarize it, I was given a ticket to attend an expensive NDP fundraiser event in Ottawa in 2012 where he was the guest speaker. The event was quite small and intimate, so I had the opportunity to speak one-on-one with him. I introduced myself and thanked him for his party’s strong vocal support for Tibet (thinking of Cheri Di Novo and Peggy Nash, among others). He said that he was happy to help, and added that Tibet was a very popular topic in his household. My initial impression of him was that he was much friendlier and warmer in person. In my opinion, presently it appears that the NDP appear to be more vocal for Tibet and against the Chinese government’s policies, however, since the NDP have never ruled the federal government, I can’t quite say with certainty whether this resolve would carry over onto the opposite side of the House floor. I’d love to think it would but a part of me thinks I may have become jaded with Harper’s promise not to forget about us Tibetans (not to say that the Conservatives have all forgotten about Tibet – there are a few Conservative Parliamentarians who have individually been quite vocal and active for Tibet over the past ten years, former Senator Consiglio DiNino, Minister Jason Kenney, among others). These are just my personal experiences and in no way I am suggesting that you should base your opinions on the three main political parties based on these stories. The Canada Tibet Committee has just come out with a great release where they surveyed all political parties on their stances on Tibet. I would really recommend a read through this to get a better sense of where the parties officially stand regarding policies on Tibet and China. I would also point you to OpenParliament.ca. You can do a quick search on what your current Member of Parliament (or any other candidate if they had served in Parliament at some point) has said about Tibet or China in the House of Commons. You can simply do a search for their name and ‘Tibet’ or ‘China’, or just search ‘Tibet’ and/or ‘China’ alone to see what’s been said in Parliament and by who/which party. You could even do a similar search on Google. Even more directly, you could ask your MP candidates what they would do for Tibet if elected, via Twitter, email, during local debates, or when they come knocking on your door. While this isn’t to say ‘Tibet’ has to be the ONLY factor in your vote during this crucial and high stakes election in Canada, election time is always a great opportunity to directly engage with your MP candidates on Tibet and to maximize opportunities to build Parliamentary support for Tibet, so as much as possible, I would urge you to vote for Tibet. Like I mentioned in another old post about garnering Canadian parliamentary support for Tibet, I think what people sometimes forget is that unlike in China, in democratic societies like Canada, politicians are supposed to be in government to represent our voices and to work for us, not the other way around – we just need to grab the opportunity, whether it’s through random encounters with future Prime Ministers, or with your vote October 19th.